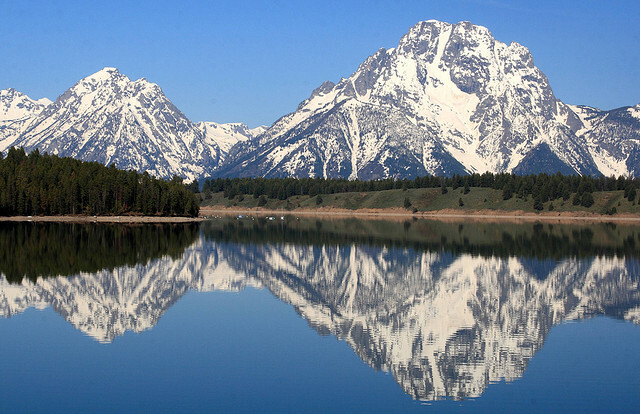 The dramatically jagged peaks of the Grand Tetons, America's youngest mountain range, dominate the Grand Teton National Park, their majesty reflected in mirror-like lakes. 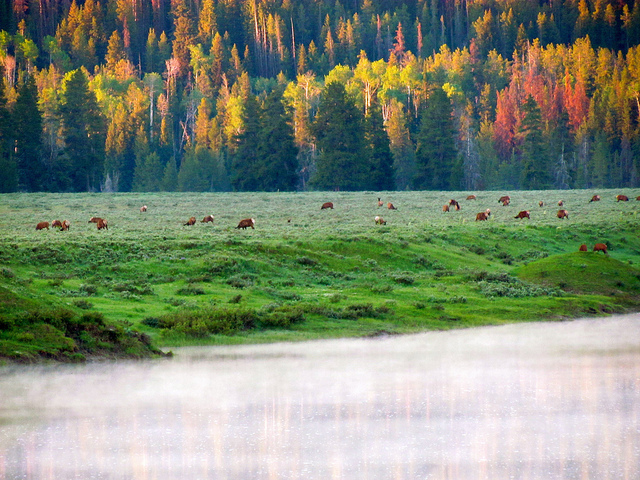 The stark contrast between the flat valley-plain of Jackson Hole and its encircling mountains is spectacular, attracting almost 4 million annual visitors. 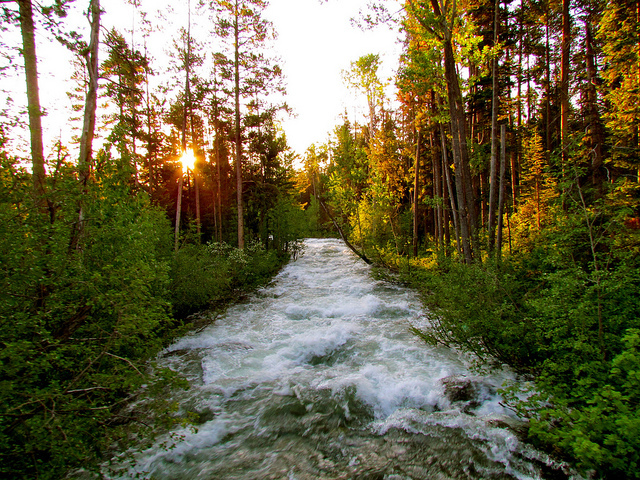 With more than 250 miles of trails, the Park offers many different and wonderful hikes. The best known and longest hike is the Teton Crest Trail: a challenging walk through the entirety of the Teton Range, with magnificent views. Some of these are difficult walks in serious mountains: come prepared. The peculiar landscape of the Grand Teton National Park - the flat valley of Jackson Hole abruptly meeting the steep peaks of the Tetons, with no foothills between - is a result of the fault line that created these geologically young mountains. Glaciers then carved out the mountain scenery as they spread before retreating northwards with the fluctuations of each ice age, leaving behind a fabulous array of deep lakes and steep ridges. Amongst all this, wild animals roam freely; grizzly and black bears, wolves, coyotes, mountain lions, bison, moose, elk, deer, marmots and chipmunks all make this area their home. 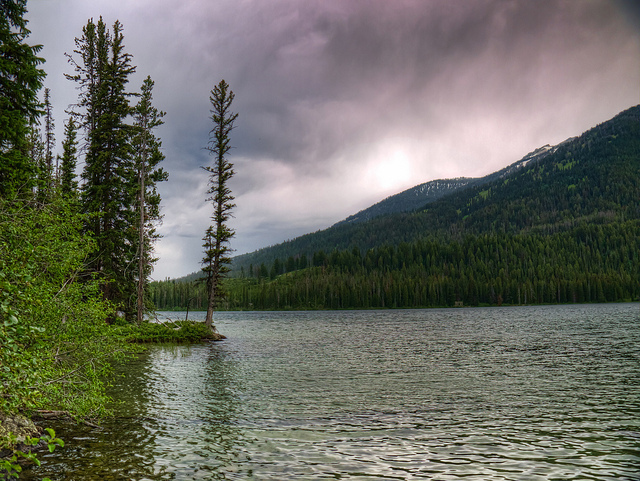 Various pines, spruces and firs grow to high altitudes, whilst aspen, cottonwood and willow cluster the shores of the wild lakes and rivers. In late spring and early summer, the flowers can be seen all over the valley. Although humans have been visiting the area for 10,000 years, it is only in the last 120 that permanent habitation in the valley took hold. 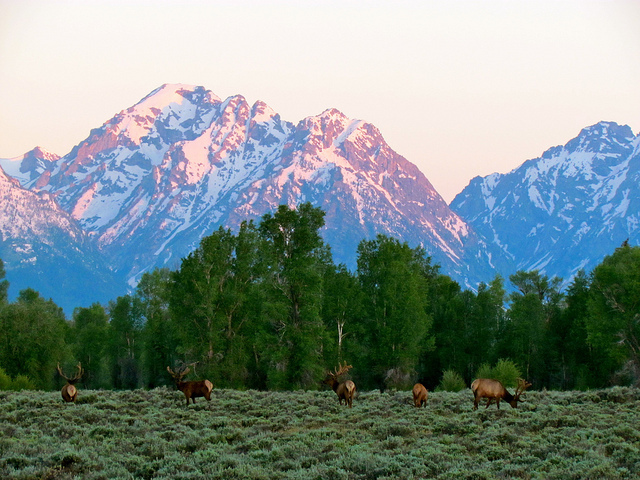 The Tetons are in many ways a crossing-place through which first animals and later native Americans have for millennia migrated, stopping only to hunt and to gather the edible parts of plants in Jackson Hole. Tourism is now the economic backbone of the region, and people visit in huge numbers all year round, whether for walking, skiing or just to marvel at the views. That said, you can easily escape humankind here. 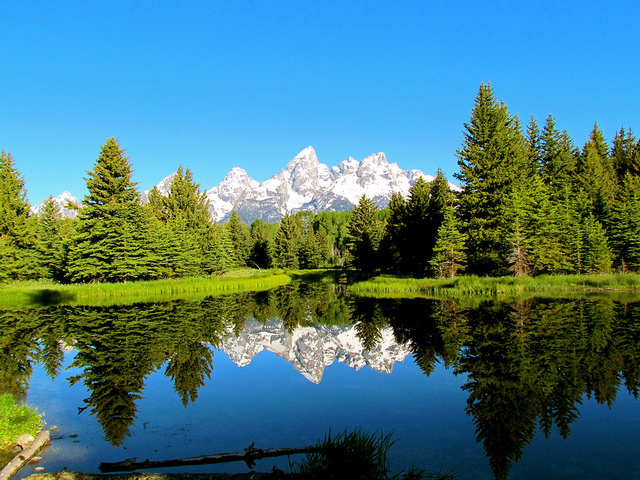 The most popular multi-day hike is the beautiful Teton Crest Trail, which covers around 50-64km (dependent on route). 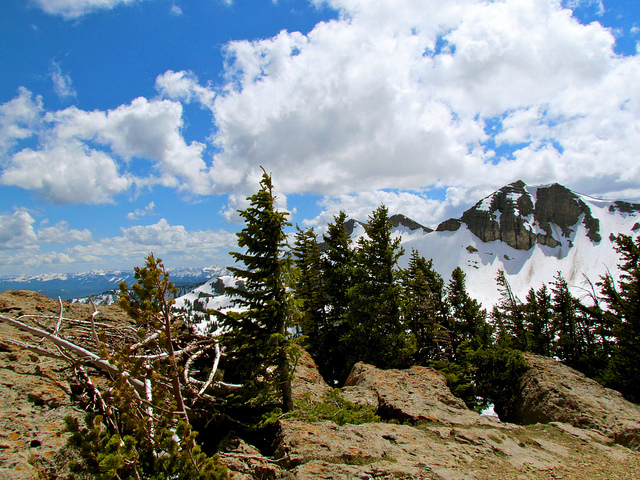 Although not an easy trek (altitude can be a problem, weather is often unpredictable and, as with most American National Parks, obtaining a backcountry permit is a necessary hassle), the high passes and lookouts, and their grand views over the Teton range, make the effort worthwhile. Incorporating abundant landmarks, including Death Canyon shelf, Marion Lake, Snowdrift Lake and Inspiration Point Lookout, this is a hike on which walkers should keep the pace light and focus on luxuriating in their surroundings - give time for long overnight stops and wake up early, taking in the glorious sunsets and sunrises. 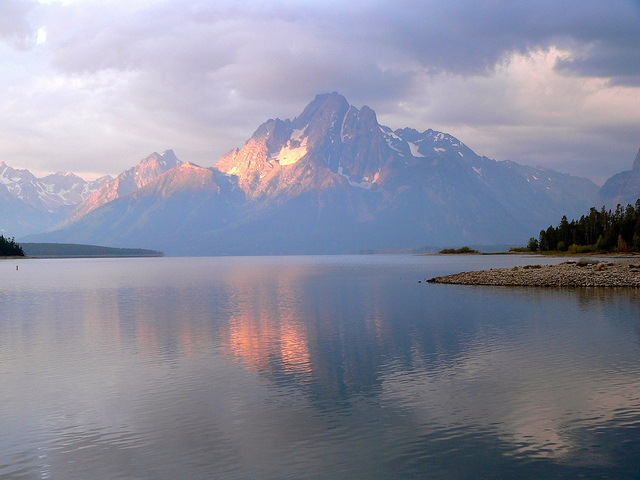 An amalgamation of many of the park's best day walks has been created in the four day hike known as the Grand Teton Loop. 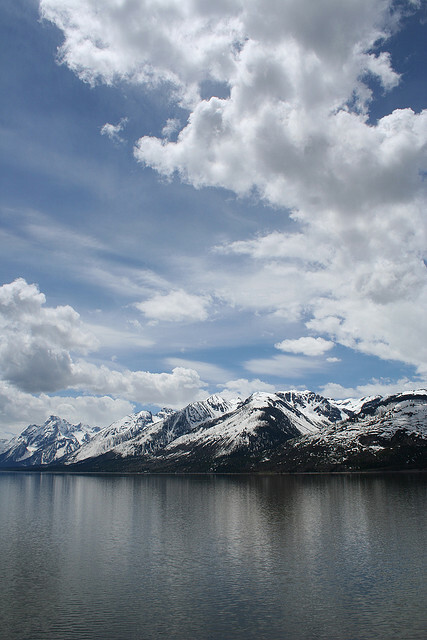 Beginning at Jenny Lake, hikers set out initially on the Cascade Canyon Loop. The trail then circles around the Tetons, traversing three passes (the highest reaching 3,288m) before descending (via the Garnet Canyon Trail) to the flower filled Lupine Meadows and trekking back to the starting point. A good alternative to these (and one which for some surpasses the better known Teton Crest Trail), is the Paintbrush Divide/Cascade Canyon Loop. At around 35km, this can be completed in a very long day - but it is a strenuous walk. 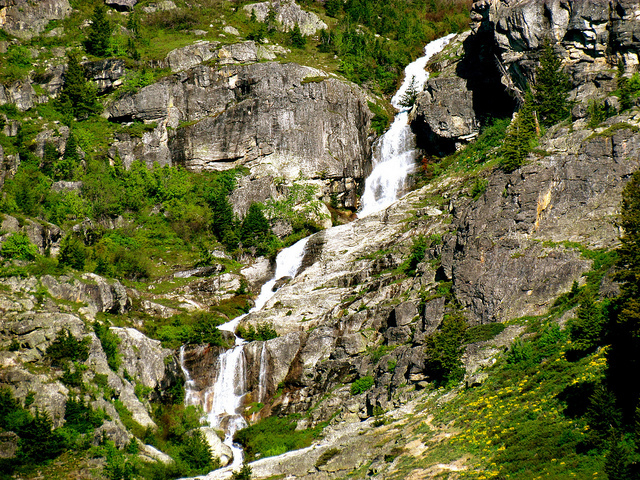 For other, less strenuous, day hikes the Cascade Canyon area remains an ideal base. 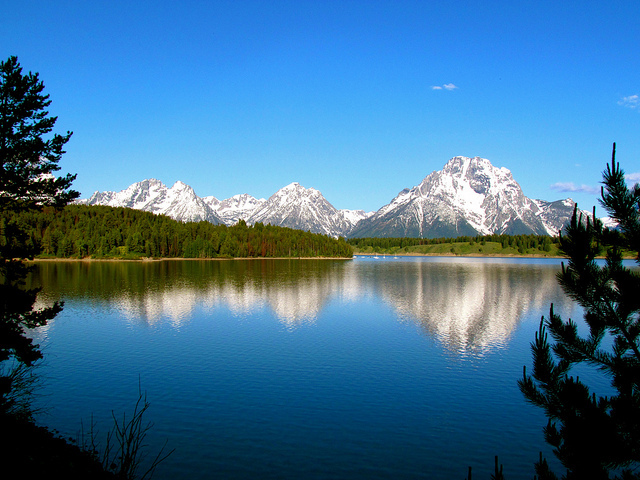 This is unsurprising, as here Hidden Falls and Inspiration Point Lookout (two of Grand Teton NP's most famous landmarks) can be found. The quieter Two Ocean Lake Trail is a fairly level walk taking in the abundant wildlife surrounding Two Ocean Lake. Although the terrain is gentle, the Tetons dominate the surrounding views, and a vast landscape of meadows, lakes and volcanic outcrops is visible from Grand View Point, 600ft up and just a short detour off the main trail. 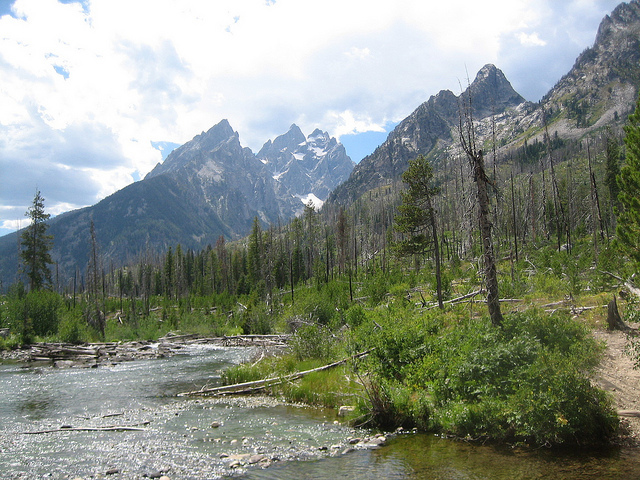 For those searching for a short challenge, the Garnet Canyon Trail heads up into the peaks, climbing steeply on switchbacks up towards the Middle Teton. 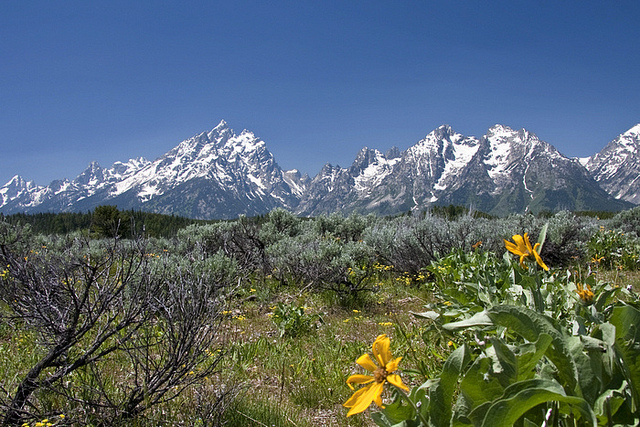 For some good summaries/suggestions for day hikes, try www.grand.teton.national-park.com. As with most US parks, there are no refuges on the hike, so camping is the only option once in the backcountry. 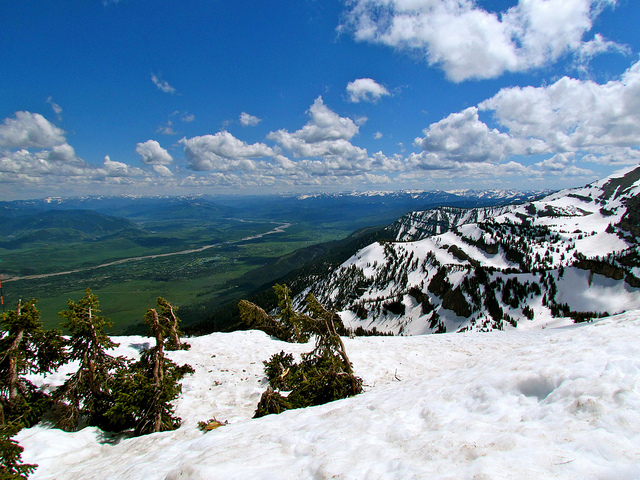 To the north of Grand Teton NP is Yellowstone; those attempting the Continental Divide Trail will pass through the neighbouring Teton Wilderness and Teton National Forest.